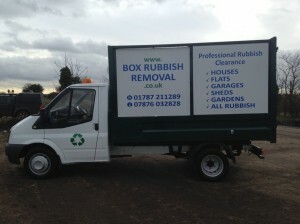 Our mobile skip hire provides an excellent alternative to having a skip delivered or hiring a Hippobag. Unlike conventional skip hire we are able to load the mobile skip for you and collect junk from anywhere in your property. We have been providing a mobile skip hire service in Ipswich and surrounding areas for the past eight years and have been saving our customers time and money. As we only charge for the space taken up in the skip we often work out considerably cheaper than conventional hire. 1. Get a quote and book Call 01787 211289 We provide a price guide over the telephone 2. Clearance We load your junk from anywhere on your property. You don’t need to guess the volume beforehand 3. Responsible disposal Your junk is taken to licensed recyclers. Easy as that.